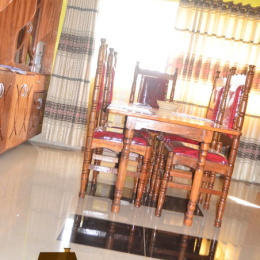 Nefer Gardens is an elegant Boutique HomeStay in Eldoret, Kenya. You will love Nefer Gardens for our gardens, comfortable beds, delicious kitchen and cozy living room. Nefer Gardens is close to restaurants and dining, family-friendly activities, nightlife, and great views. Nefer Gardens is good for couples, solo adventurers, business travelers, and families (with kids).